Duration: In a module of 2 days you will learn physical exercises that you can utilise yourself and pass on to others who need them. The workshop is suitable for groups up to 20 people. Seeking refuge has an enormous impact on one’s life. Refugees carry war and flight experiences with them and need to learn how to deal with loss, grief and worry for their family. Likewise, new and unknown environments often result in stress. Do you recognise this? Or does the accompaniment of people with traumatic experiences evoke stress in you? In the training Refugee Accompaniment you will learn easy physical exercises that ease stress and traumatic reactions. They will help you to deal with the situations in a vital manner. The training consists of several holistic approaches that loosen the rigid stress in the body. The exercises stimulate balance and feed and bring back harmony in the body. The study load is 16 hours. You deal with chronic traumatic stress in a healthy manner. You learn easy techniques to reduce psychosomatic symptoms in yourself and others. You can assist refugees in dealing with new challenges in a better manner. The training is based on the methods developed by Capacitar (www.capacitar.org). They strengthen people’s resilience and natural healing ability. Capacitar uses this approach in 35 countries across the globe. After traumatic experiences the instinctive fight-flight-freeze reactions tend to linger in the body. This constant state of preparedness causes symptoms such as hyper arousal, stomach ache, headache, irascibility, insomnia, nightmares and depression. Scientific research shows that the verbal centre in the brain shut down under traumatic circumstances. Stress affects deeper layers. Stress is contagious. It affects caretakers of people with traumatic experiences as well (secondary trauma). The primary task of trauma healing is to reprogram the emotional brain so that it adapts to the present instead of continuing to react to past traumatic experiences. A more body-oriented approach, focused on releasing contractions in the body is therefore more effective. 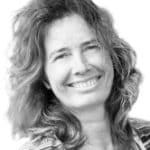 Hanne Verhoeven is an IAF certified facilitator, qualified coach and trained in the multi-cultural wellness approach by Capacitar. She has more than 20 years of experience in training and coaching in 30 different countries, including areas of conflict. For questions, contact Hanne Verhoeven.